MINISTER of Justice Given Lubinda has admitted that he faces a daunting challenge in his new portfolio but says he will consult widely from stakeholders. Mr. Lubinda said he had to immediately sit down with experts in the ministry and other stakeholders to clear the contradictions that existed in the Constitution so that the piece of legislature became self-explanatory unlike the current state which posed a challenge in legal interpretation. He said Zambians deserved a Constitution that would not bring controversies over application of certain clauses, adding that his task would be to ensure that the shortcomings in the Constitution were rectified. “We are in a very difficult position after having come up with the Constitution that almost brought the country into a crisis and so, to be appointed Minister of Justice at this critical time shows that there is a daunting task ahead of me and the first issue on my agenda is the Constitution of Zambia. I would like to quickly sit down with all concerned people to see how to make the Constitution to speak to itself because some parts of it don’t speak to each other. “The interpretations of the various articles in the Constitution leave a lot to be desired. All of us remember how the Constitutional Court was also in a difficult position when it came to interpreting the law and I think that Zambians deserve a Constitution that is holistic and beyond that it must be a Constitution that can be interpreted by lay people, by non-lawyers. The issue of coming up with the Constitution that can only be interpreted by people who spent five years at university reading law is not right. 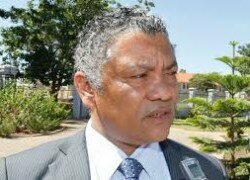 We have to have laws that can be interpreted and understood by ordinary citizens,” Mr. Lubinda said. Mr. Lubinda also said there was need to harmonise the provisions of the Constitution with subsidiary laws as there were a lot of disparities in their applications by amending them to be in tandem. “After we have reformed the Constitution, we have to amend all subsidiary laws because all the laws have not been in tandem with the Constitution and that is not an easy task. I don’t think there is any room for me to take a break. This is a heavy task on my shoulders but I am happy to realise that the President is available to work with me and I shall rely on the support of the judiciary, and men and women in the legal fraternity and especially experts in the Ministry of Justice. “We will also ensure that people have access to their laws. Today in Zambia, if you ask Zambians how many have seen any Act, they are very few. The laws have been tucked away in the offices of lawyers and I think time has come for us to ensure that there is legal literacy amongst our people. People should understand and have access to their laws and this is a task I would like to engage in as quickly as possible. As Minister of Justice, it is not a matter of having the law but the delivery of justice and I want to sit down with my team at the ministry and also all the other subsidiary quasi institutions to see how we can enhance the provision of justice to all Zambians,” he said. ← Mutati predicts hard economic times unless….